GUND is proud to present Pusheen: a chubby gray tabby cat that loves cuddles, snacks, and dress-up. As a popular web comic, Pusheen inspires brightness and chuckles for millions of followers in her rapidly growing online fan base. 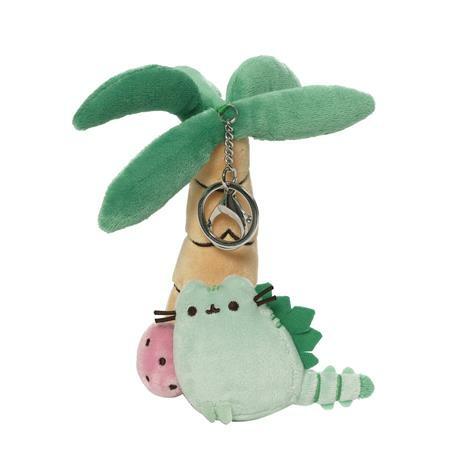 This 4 1/2' backpack clip brings the mighty Pusheenosaurus to life! A sturdy plastic clip lets you show off your Pusheen fandom on the go.